Express was founded in 1983. In 2017, we put more than 540,000 people to work. With over 800 franchise locations worldwide, we're in a fantastic position to achieve our goal: to help as many people as possible find good jobs by helping as many clients as possible find good people. 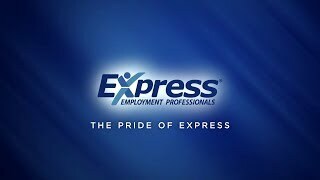 At Express Indy East, our vision is more specific: to be the primary staffing resource in our community by placing the right people in the right jobs. We do this while providing our clients with guidance on HR best practices and giving our associates hope and respect. To be the primary staffing resource in our community by placing the right people in the right jobs. We do this while providing our clients with guidance on HR best practices and giving our associates hope and respect. Respect - Foster an environment where all people and ideas are welcomed. Show compassion and empathy towards clients, associates and employees. Celebrate abilities, accomplishments and contributions.